You should get up early in the morning at about 6-7 AM. 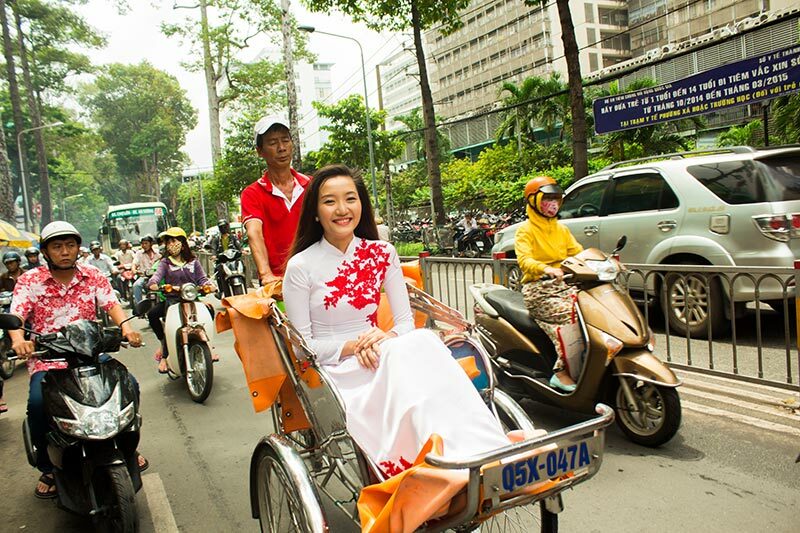 This is the ideal time to enjoy fresh air in Saigon. You can walk along Saigon streets, see a lot of restaurant from small stand to big restaurant selling Vietnamese specialties for breakfast like banh cuon, hu tieu, com suon to a hot bowl of Pho,…Sai Gon have everything you need for breakfast. Food prices in Saigon are quite reasonable, in the range from 20,000 vnd to 35,000 vnd depending on dishes. Moreover, the service attitude of staff is always friendly, fun and sometimes they even chat with visitors about general things that bring little joy to those who first arrived in Saigon. After breakfast, take on a sidewalk cafe and order yourself a cup of iced coffee or iced milk coffee. In Saigon, there are many sidewalk cafes with only some stools, but always crowded. Bold brewed coffee with a bitter taste is hard to resist. Saigon men love to drink coffee while reading a newspaper or chatting with friends all morning or just sitting there watching the vehicles pass by. The price of a cup of coffee on the sidewalk just from10,000 vnd to 15,000 vnd range, a very cheap price to buy this special space. 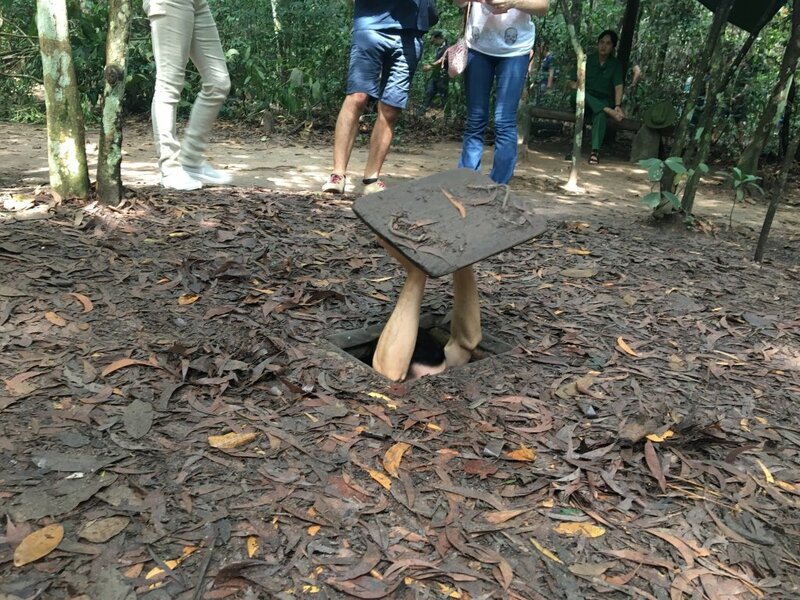 However, you can switch to other activities, such as go to some famous bookstore in Saigon looking to buy the top-selling albums or some old music CDs. You can reward yourself with a hearty lunch with com nieu (rice cooked in a Vietnamese traditional pot), on Tu Xuong St District 3. The unique and special about the restaurant is you can see the appealing threshing rice performance. A performer here will throw the hot rice pot up in the air and banging, then take the rice throw to another performer, who will catch very quickly and put it in a plate on your dinner table. The rice will be crispy on the outside but very soft on the inside. No words can express the feeling when you put a piece in your mouth. It’s wonderfully strange but it’s worth the try! Cool air condition of Saigon afternoon is suitable for a stroll in crowded streets in the center. You will see a lot of beautiful souvenir shops. You can also go around the area of Bitexco – the tallest building and most impressive in Saigon. Remember to take with you a bottle of mineral water or buy a glass of delicious milk tea to enjoy the walking. In case you are tired of walking, try switching to cyclo. The feeling of sitting on a cycle is really cool. Note: you should ask the price carefully before getting in and when completed the trip, don’t forget to tip the man. If you are a shopaholic, you should go to Saigon Square located on Nam Ky Khoi Nghia St, District 1. This place is known as a bustling shopping area. In the evenings, Saigonese likes to hang out with friends, eat delicious street food. 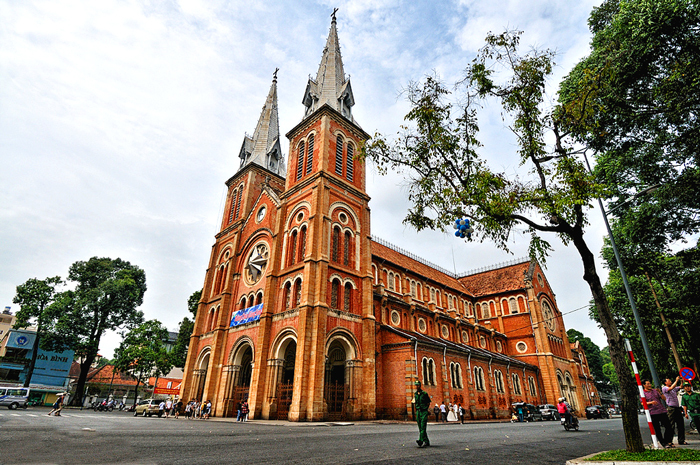 The most attract young people place is Bui Vien – where lots of foreigners stay and visit. There are coffee shops, bars, restaurants, hotels, and several stalls that sell street food. 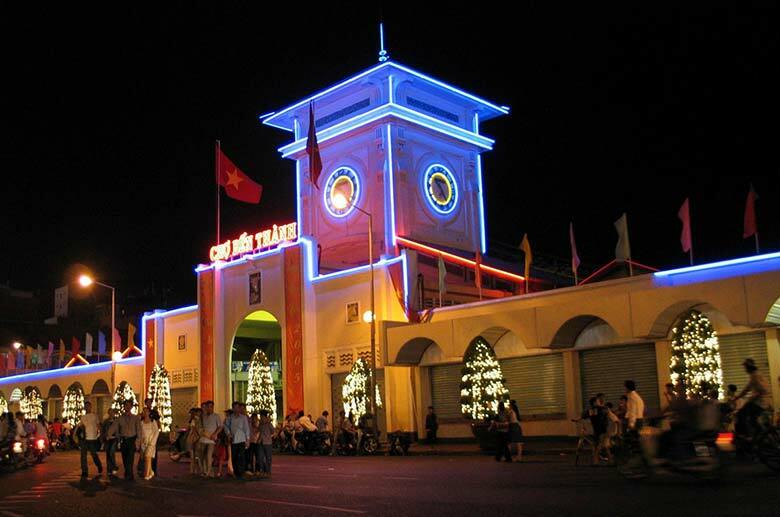 With a bustling atmosphere and eventful music, Bui Vien is the right place to end a day.